When it comes to environmentalism, Lowell Dodge is a decorated veteran of more than half a dozen eco-centric organizations. While he calls Washington, D.C., home, for over 35 years Dodge and his wife Diane have spent weekends retreating to their rustic mountain home in Virginia’s Shenandoah region. The Good Woods — that’s what the Dodges call the 65 acres of old-growth forest sanctuary surrounding their passive solar-designed house. Dodge has found a spiritual connection with the land there, and a practical one as well; the abundance of cherry, oak and walnut trees provide the materials for Dodge’s passion for hand-crafting wooden furniture. Working out of a barn workshop in his Good Woods, Dodge has made a number of unique pieces for his home — one of his most recent and ambitious endeavors includes hand-carving all of the seating for his daughter’s wedding. Dodge grew up in Connecticut, where he gained an early appreciation for the wilderness through scouting. Not long after earning a bachelor’s degree at Yale and a law degree from Harvard, Dodge was the editor-in-chief of The Environmental Law Reporter, a fledgling publication that has since become a premier resource for environmental law and policy. Dodge later became active in the Lucy Braun Association, where he learned about forestry research and studied tree mortality. Dodge headed the association for a short time before helping found the Trees for the Planet nonprofit, where he spent three years investigating mortality rates of old-growth forests at more than 40 Appalachian research locations. Through that research, Dodge published a report determining that acid rain was contributing to the weakening of Eastern forests. Dodge first became involved with Appalachian Voices when he learned about the growing threat of mountaintop removal mining in the region. “Researching the health of forests was important to me,” Dodge says, “but when I realized the scale of destruction caused by mountaintop removal practices, I knew it was time to shift gears.” Dodge served as a board member for a time and was an early advocate in the campaign to end the practice. Working with fellow Appalachian Voices then-board member Harvard Ayers, Dodge co-founded Coal River Mountain Watch, a small nonprofit in southern West Virginia focused on informing at-risk communities about local mountaintop removal issues. In affiliation with Habitat for Humanity, Dodge also presided as the executive director for GreenHOME, Inc., a project designing environmentally friendly, affordable housing for low income families using recycled materials. In addition to his environmental work, Dodge started an award winning nonprofit, First Time Computers, to help get more than 10,000 recycled computers into the hands of low-income families in the D.C. area. Dodge doesn’t mind the consequences of his strong environmental convictions, including one occasion when he was taken into police custody alongside former West Virginia Representative Ken Hechler during a march against mountaintop removal. 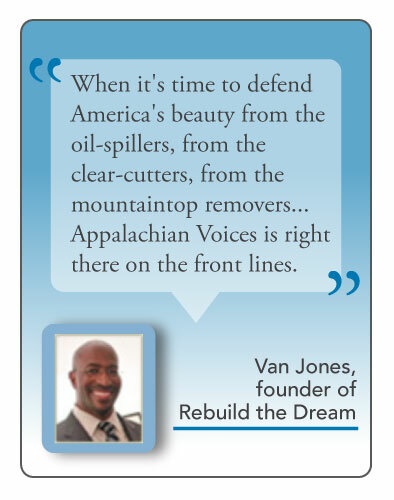 Today, the Dodges remain active supporters of Appalachian Voices, and even help to distribute issues of The Appalachian Voice in Washington, D.C. Although the Dodges plan to one day move to Colorado to be closer to their children, Lowell says he will always maintain a connection with the forests of Appalachia. 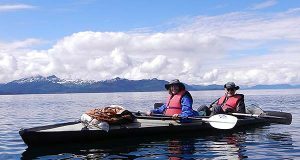 Lowell Dodge is currently involved in researching old-growth tree species in the Pacific Northwest with a publication in the works.